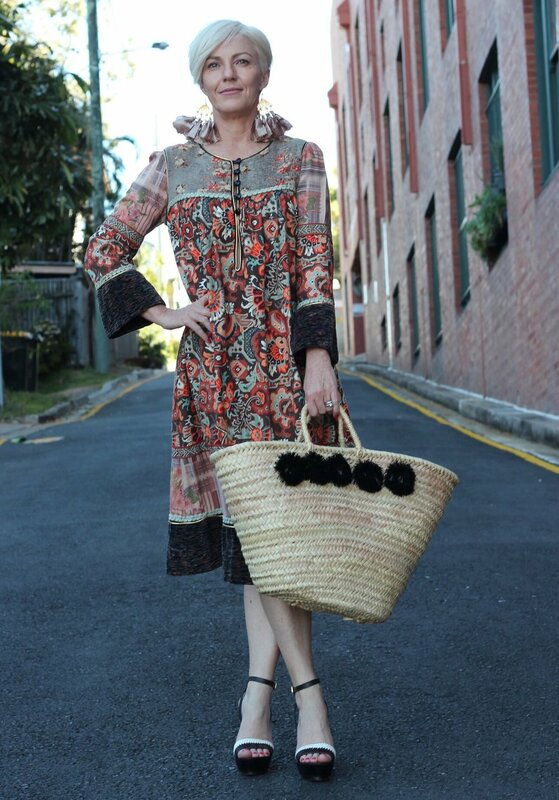 Street dreams are definitely made of this- Prue Acton smock dress Circa 1970. When I stumbled across this baby, I literally froze! How beautiful is it? I'm sure some of you may remember your mum wearing some of Prue's fab creations in 70s AND 80s. She is still regarded as the golden girl of Australia’s fashion. I feel very honoured to have found this iconic piece of Australian fashion history! The sizing is also a stark reminder of how our body shapes have changed over the past 40 years as This dress is a size 12 and i'm usually a size 8. When I'm wearing this dress I can’t help imagine the kind of glam 70's parties it’s been to. This is the appealing nature of vintage clothes. They are connected to stories, people and it’s like travelling back in time when you where them. Who else has some classic vintage hiding away? Please share your vintage finds with me by tag me @sustainablestyling on instagram . So what's my take home message here? Quality fabrics and designs are timeless. Designer labels are sustainable choices and buying luxury the second or third time around is money well spent. Want to find timeless luxury pieces but not sure where to start? check out my style services and lets get you nailing stylish sustainable fashion.